Duncan Bannatyne speaks from experience. He started his life with nothing living in a council flat with six brothers and sisters. Business was forced onto his agenda when he was rejected for a paper round where he lived. He knocked on doors to find people who wanted newspapers delivered and persuaded the newsagent to give him his own round. A spell in the Royal Navy as a stoker was brought to an unsuccessful end following an incident which ended up with Duncan being Court Marshalled for chucking his commanding officer over the side of an Aircraft Carrier for a £10 bet. Whilst sitting on the beach one morning, with nothing to his name, he boldly told his then girlfriend they were moving back to mainland Britain to start in business and become millionaires. He moved to Stockton-On-Tees with his now ex-wife and bought an ice-cream van for £450 and, at the age of 31, had his own business. Duncan’s Super Ices expanded to four vans and a turnover of £300,000. He sold up and in 1986 founded Quality Care Nursing Homes with £2 share capital, floated it on the stock exchange five years later, and a further five years later sold for £46 million. His other successful businesses include Just Learning Ltd, which he started with £2 million and sold 5 years later for £22 million, he also took control of loss making Alpha Radio, made it profitable and then sold it to Border TV. On suffering a serious leg injury which took him into a gym for the first time, he decided to set up Bannatyne Fitness a health club chain which now has more than 60 health clubs. It is often wondered, if he was to think back on that beach in Jersey could he ever have imagined he would have achieved all of the above, all of his personal dreams and ambitions and amassed an estimated personal fortune of over £300 Million. 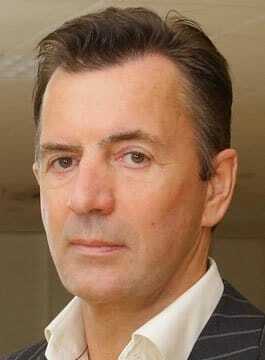 Duncan Bannatyne is one of the most successful and respected businessmen in the country. He has not only established himself as the ’Troubleshooter’ of today for businesses, business ideas and individuals, but he is also being shown by many as the light and example for the youth of today to follow; find that get up and go; and go and make those millions. His first book ‘Anyone Can Do It’ sold more than 200,000 copies, and his second book Wake Up and Change Your Life quickly entered the Sunday Telegraph top selling books list. When he is not presenting or running one of the country’s most profitable and largest independently owned businesses, Duncan likes to spend his time with his family, or pursuing his hobbies and sports such as running, climbing, water skiing and scuba diving. He dedicates a great deal of his time working with charitable organisations such as UNICEF and Scottish International Relief. He also funded Casa Bannatyne the Hospices for Children with HIV and AIDS in Romania and Colombia. Duncan Bannatyne was awarded the OBE by the Queen in 2004, for services to charity. Duncan Bannatyne has been awarded an honorary Doctorate of Science (D.Sc.) by Glasgow Caledonian University for services to business and charity.